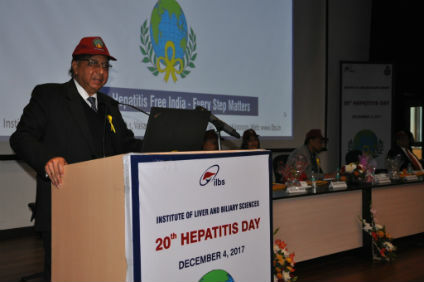 New Delhi: To spread awareness about Hepatitis disease, its preventive measures and treatment amongst general public, Institute of Liver and Biliary Sciences (ILBS),New Delhi organized 20th Hepatitis Day on the theme “Building a Hepatitis Free India- every step matter” at ILBS, New Delhi. 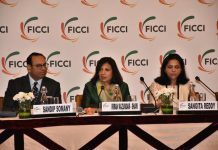 The event was graced by Delhi Health Minister Mr. Satyendra Jain; Ms. Shobhana Bhartia, Chairperson, Hindustan Times Group; Mr. Naresh Yadav, MLA. Mehrauli Constituency; Dr. Ashok K Chauhan, Founder President, Amity Education Group; Mr. Surendra Sharma, Poet and Hasya Kavi; Dr. J P Kapoor, Director – ‎Directorate of Family Welfare ,Govt.of Delhi; Swami Jayapatka Ji, Global Head, ISKON and Dr. Shiv Kumar Sarin, Director, Institute of Liver and Biliary Sciences. Addressing the gathering, Dr. Ashok K Chauhan, Founder President, Amity Education Group talked about role of society in medicine and said that society and medicine are correlated. He shared some facts from a recent survey, stating that life expectancy in India is 68 % and Kerala has the highest with 74.9 % and Assam with lowest, 63.9%, while Delhi has 73.%. He pointed out that countries like Japan, Norway, Singapore are ranked very high in Happiness Index which shows that if people of a country are happy then that will lead a healthy life. Dr. Chauhan opined that medical fraternity can play a pivotal rile in transformation of society by providing positive health to people which includes Preventive, Persuasive and Curative aspects. He averred that in next decade, liver diseases will take over the Heart diseases. 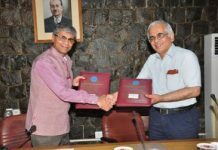 However, India is has an added advantage of indigenously developing and manufacturing Hepatitis vaccine for global application. Delhi Health Minister Mr. Satyendra Jain said that Delhi Government is dedicated towards eradicating the disease and has been providing free medication for treatment of Hepatitis. He mentioned that it is important to make healthcare affordable and accessible for all. He apprised that government as started a campaign ‘Healthy Liver- Healthy Delhi’ with an aim to eradicate any discrimination regarding the disease or its treatment. Mr. Jain stressed that people don’t have much knowledge about the importance of liver organ and its function to keep our body healthy. He apprised that it is not only alcoholics but also non- alcoholics people who can suffer from liver diseases and infections. He urged the participants to take responsibility of one’s health along with health of atleast 10 people around by disseminating information about diseases, their prevention and cure. He also called upon the gathering to share their good acts on social media as it might encourage others to follow the suite. Expressing his views, Dr. Shiv Kumar Sarin said that in early years, certain cases of Hepatitis which led to death of patient encouraged ILBS to observe Hepatitis Day and spread awareness about the disease. He pointed out that it is necessary for every person to be immunized as Hepatitis B is a preventive and curable disease. 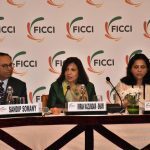 Dr Sarin shared some steps towards building a Hepatitis Free India including being aware about the prevention and curable measures towards Hepatitis, safe blood transfusion, hygiene food & water; change of mindsets toward the disease and no stigma or discrimination against the person suffering from the disease. He requested the Government to make Hepatitis as a notified disease so that dissemination regarding the same can be spread on large scale. Shri Naresh Yadav, MLA lauded the awareness programmes organized by ILBS and called upon the students to follow the pledge undertaken during the occasion. During the Hepatitis Day event, more than 500 students from various schools across Delhi NCR participated in poster making, slogan writing and skit competitions organized as part of the event. 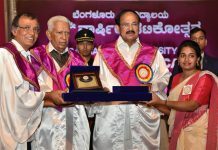 The winners were awarded by the distinguished speakers. The students from all Amity International Schools located in Noida, Delhi, Ghaziabad and Gurgaon overwhelmingly participated in the Competitions organized. They even took pledge to actively work towards the mission to eradicate the disease Hepatitis B by spreading the awareness in different strata of society.